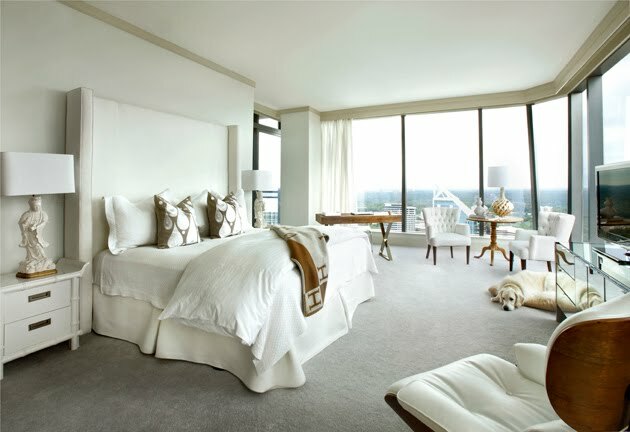 Yahnay over at Coco Pearl asked a few bloggers to send over their favorite bedrooms this week. You can see her post here. After much deliberation, I chose this photo of Lee Kleinhelter's bedroom. Recently showcased in Lonny, it is simple, gorgeous and perfectly put together. I don't know if I could actually live in such a gorgeous room, but I absolutely love all the pieces, all the fabrics and all of the light that this room lends to the overall feel. If you haven't already done so, don't forget to become a follower (with the tool to the right) and enter the CSN giveaway!!! Oh yes! This a quiet, calm and soothing retreat! Beautiful! I love the white on white. Very classy! New to your blog and loving it! I'm your newest follower!